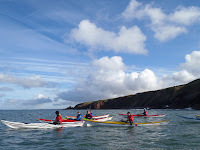 Both the 'Intermediates' and 'Improvers' training groups paddled South from Peel this morning, in hot sunshine and bouncy sea. 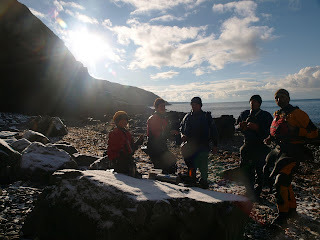 Interesting rock formations, old wrecks and snow flecked coastline gave some impressive views on-route. 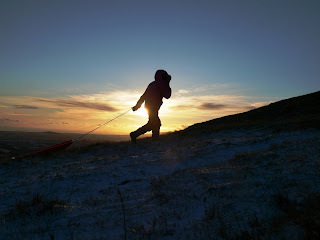 A cracking session, with a light snow shower on the final stretch back to Fenella Beach, the other group arriving just as we packed the gear away, and smiles a beaming, headed home for some sledging! 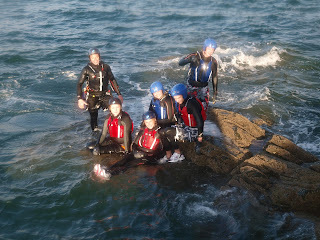 A few bits of feedback from recent students.. 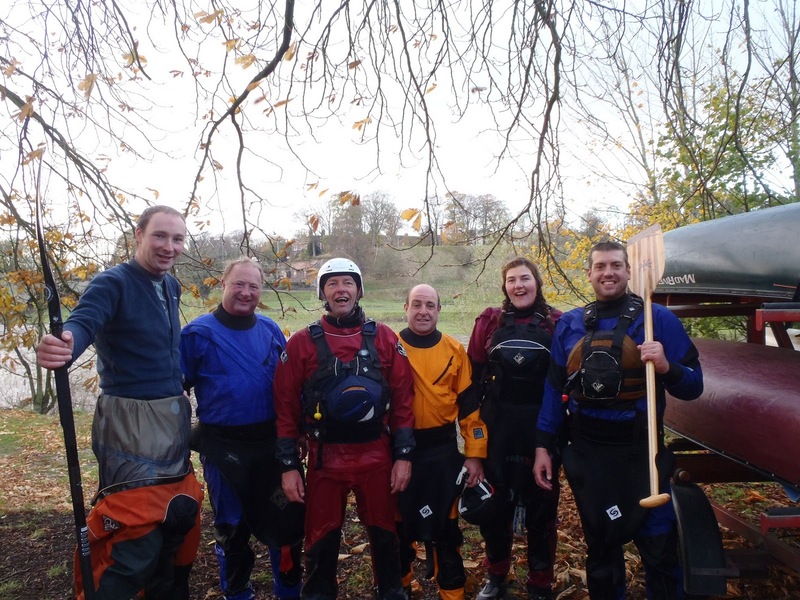 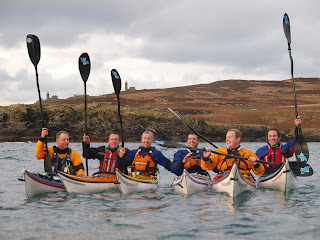 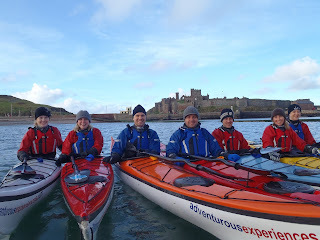 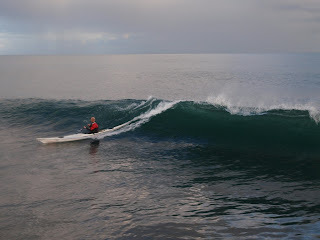 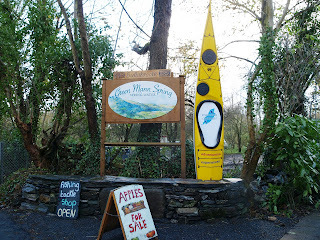 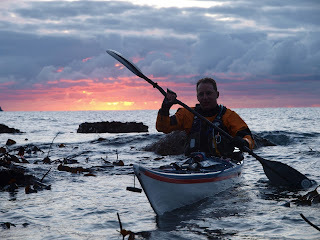 I very much enjoyed the three sessions that I managed to attend in October and now feel that I know a tiny little bit about kayaking and certainly how to fall over in one. 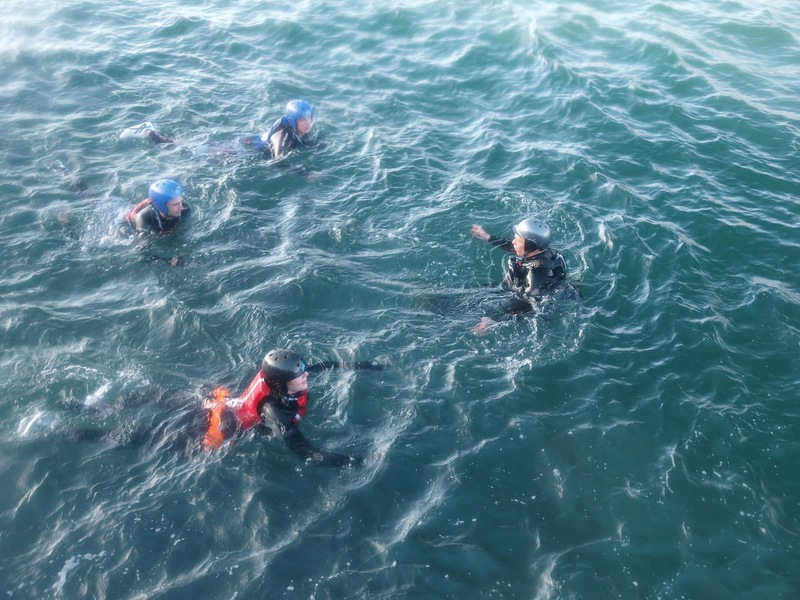 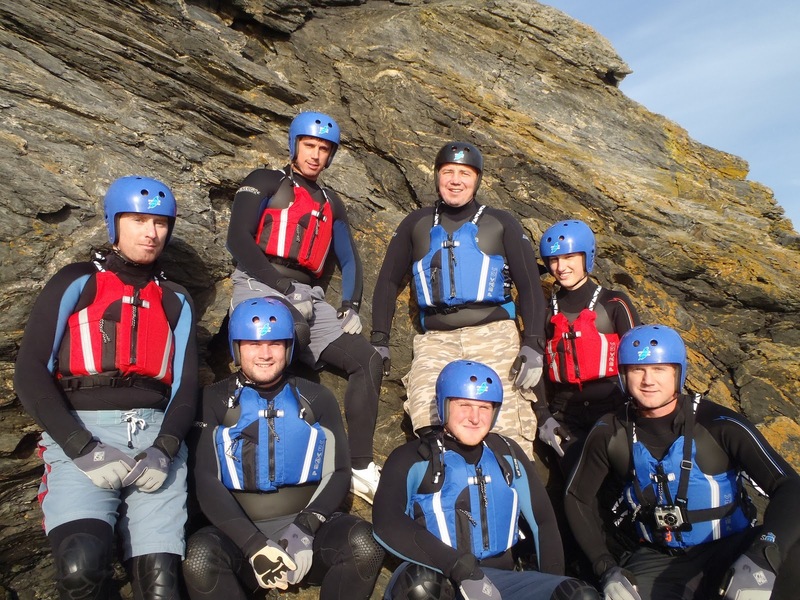 The course is well put together and the instructors including yourself, clearly very experienced, knowledgeable and, above all, very patient. 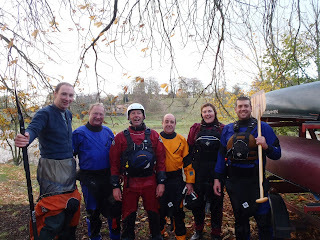 Thanks again for a very enjoyable course. Will I get special treatment when kayaking now that I’m a grandad? 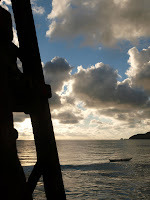 I was thinking that I should have a reserved parking space whenever we meet. 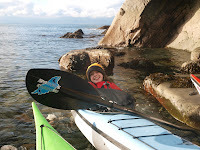 Obviously you won’t expect me to carry my kayak to and from the water, although I don’t mind supervising. 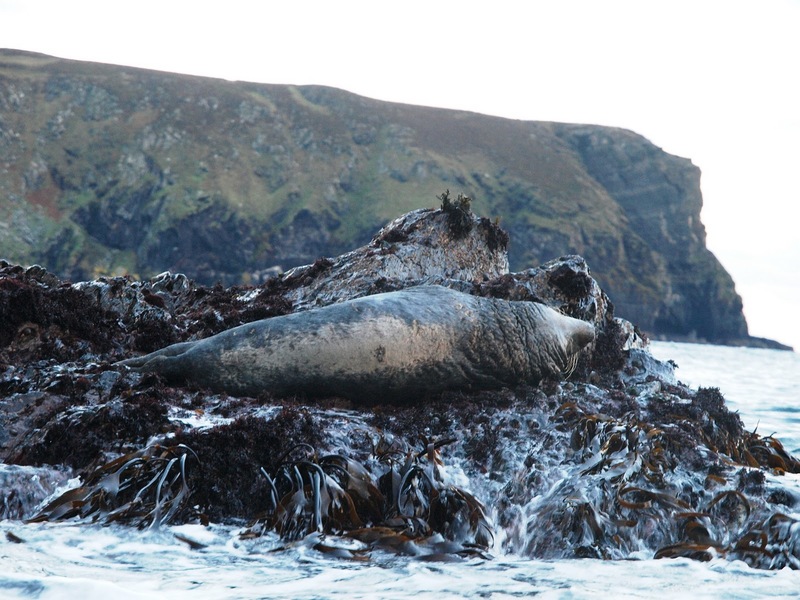 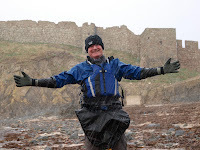 In fact, when the tide is out (particularly at Port Erin) it’s a bit too far for a grandad to walk. 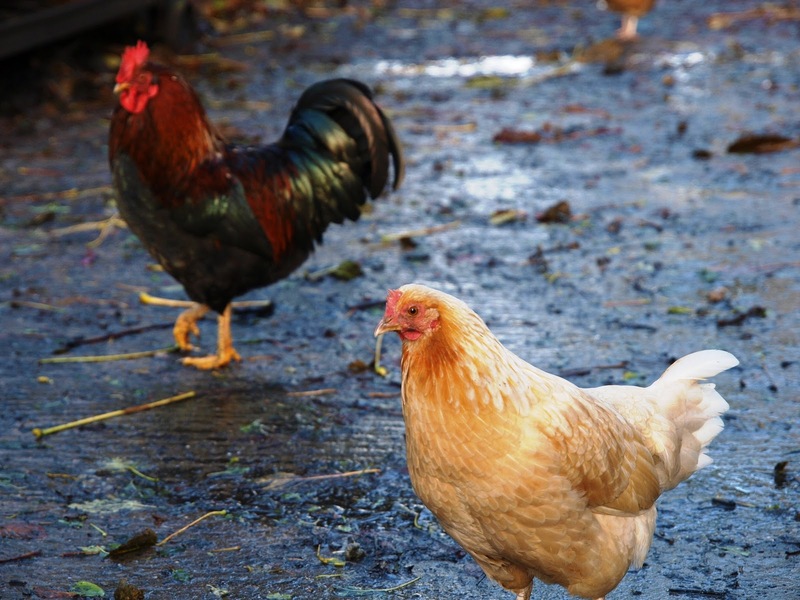 You should provide a little buggy (like they have on the golf course). 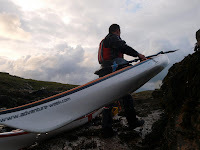 Also a mobility hoist to help me in and out of the kayak would be appreciated. 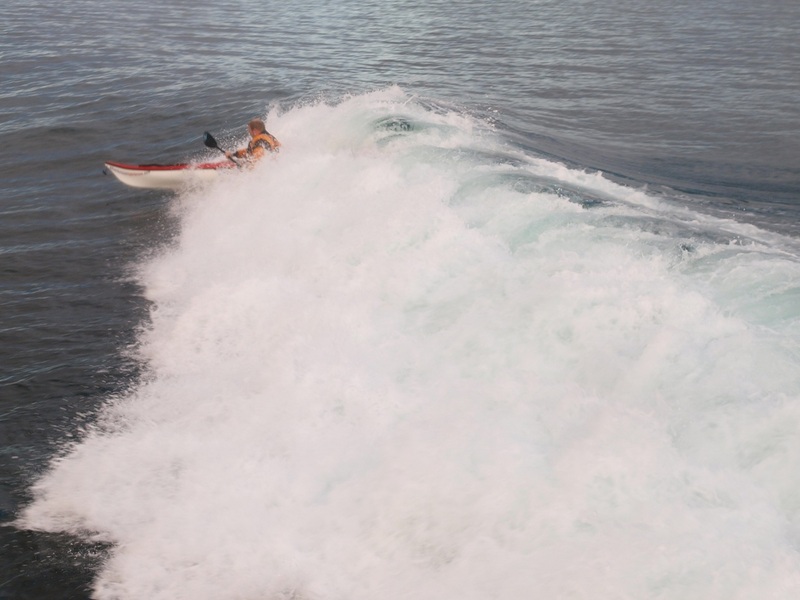 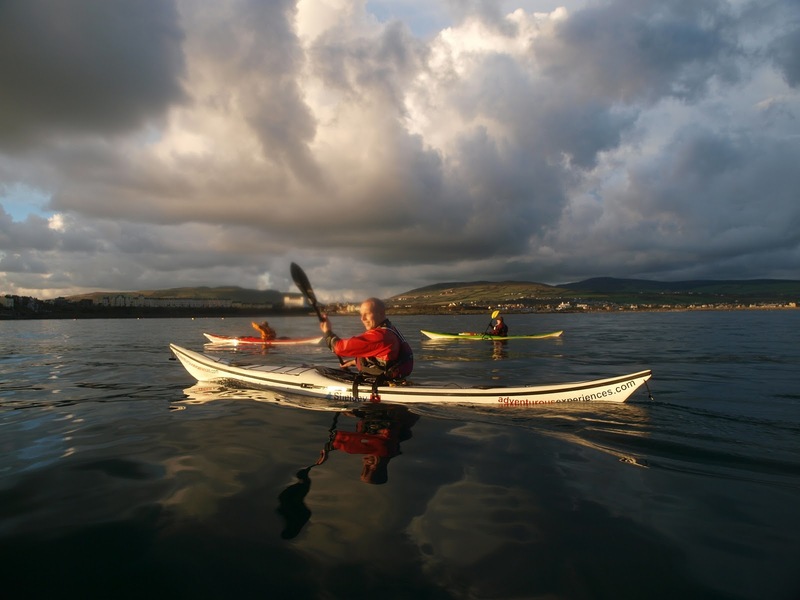 Does Kelvin stock incontinence undergarments for senior kayakers? 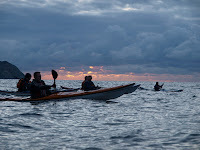 If not, tell him that this could be a real marketing opportunity – particularly with the all day paddle coming up. 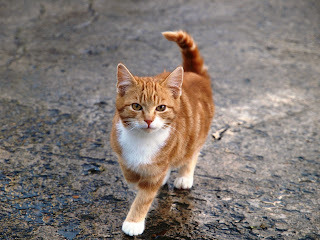 I’m sure that you are already revising you Business Plan. 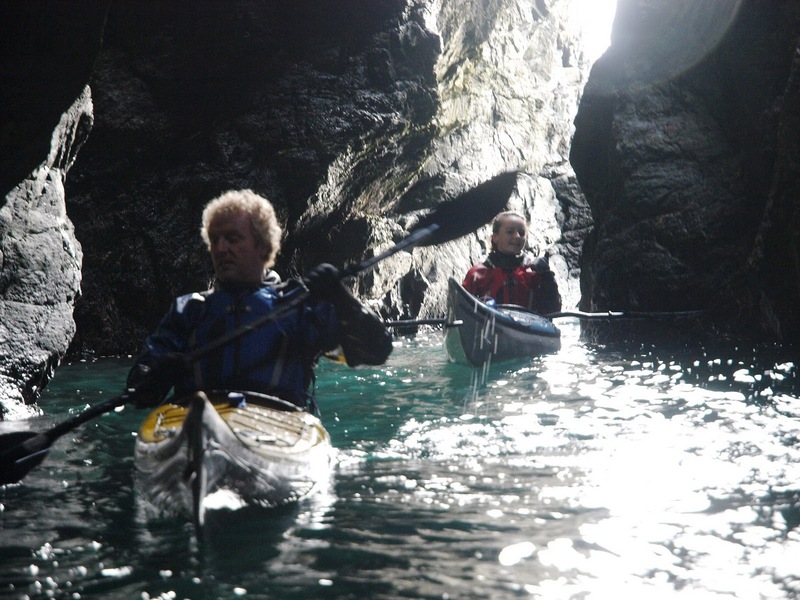 How about ‘Adventurous Experiences for the Aged’. 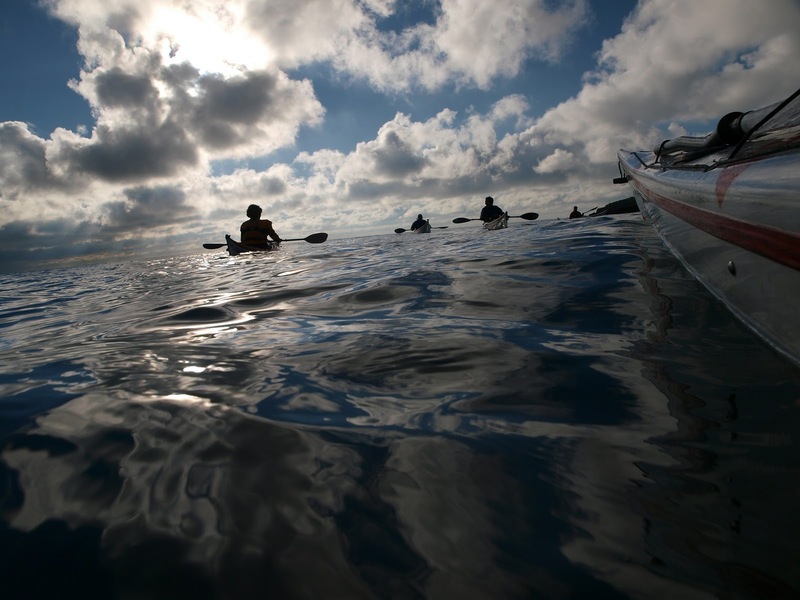 See you Sunday. 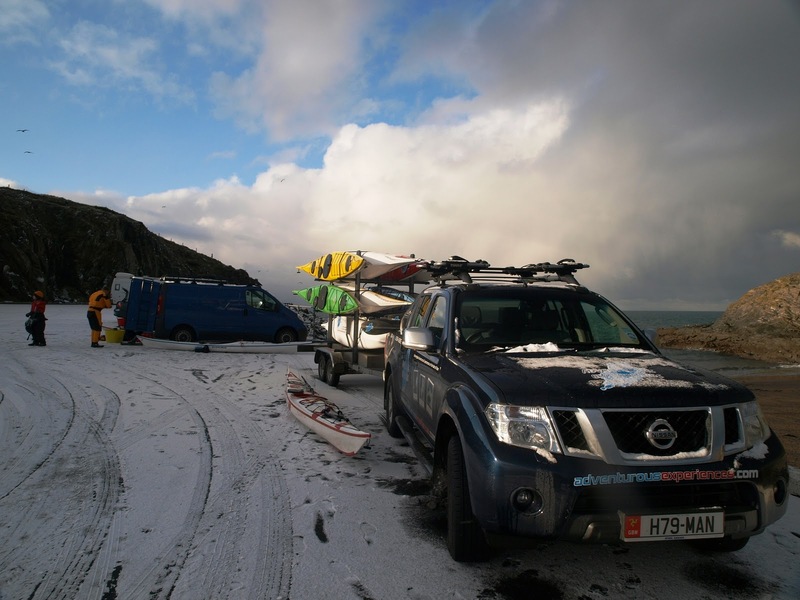 Don’t forget the reserved parking space. 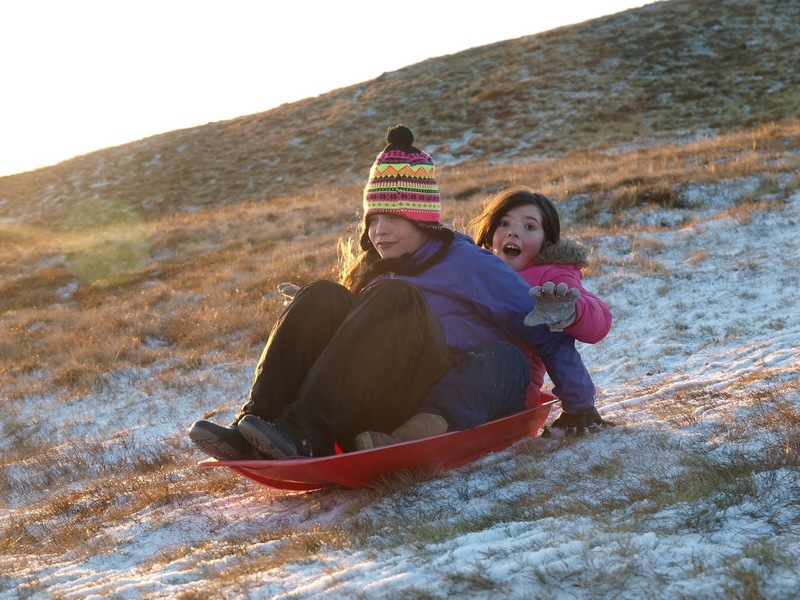 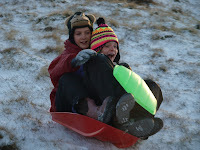 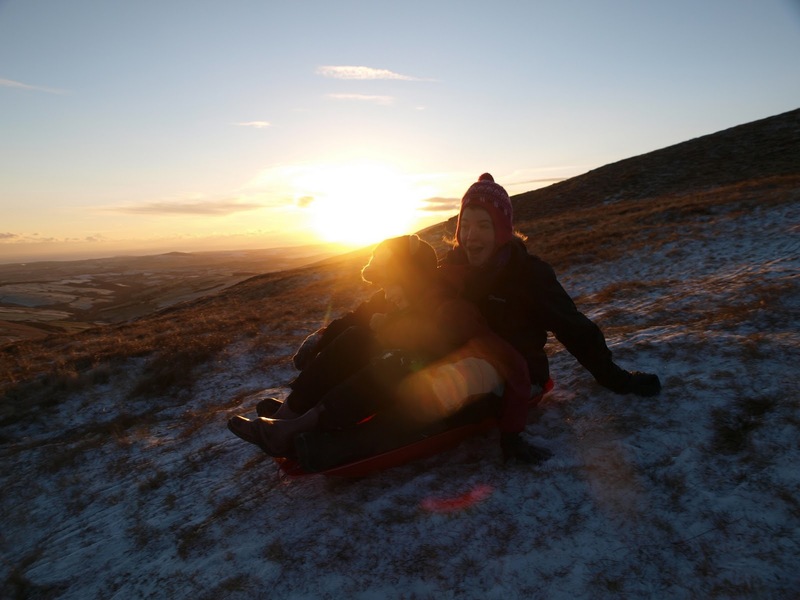 Hoping to paddle in the snow showers with the Adventure Club tomorrow morning, then hit the slopes for some sledging fun in the afternoon! 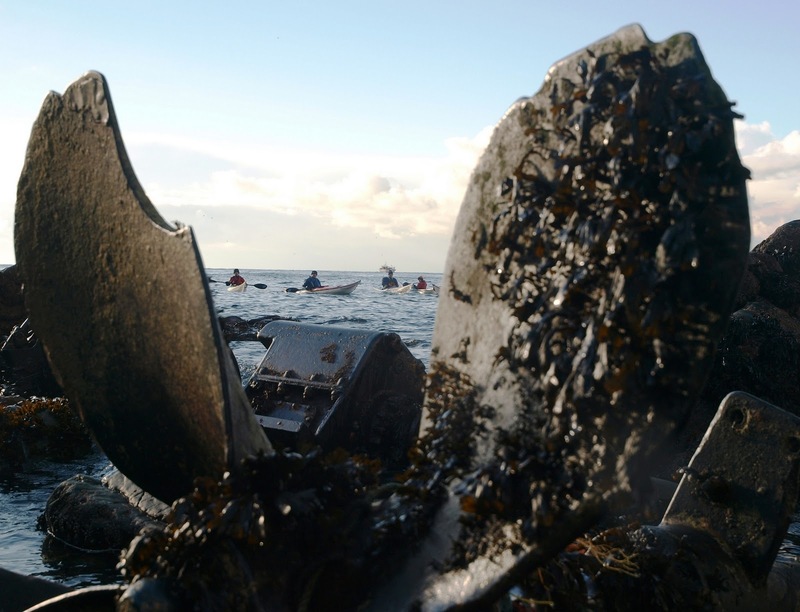 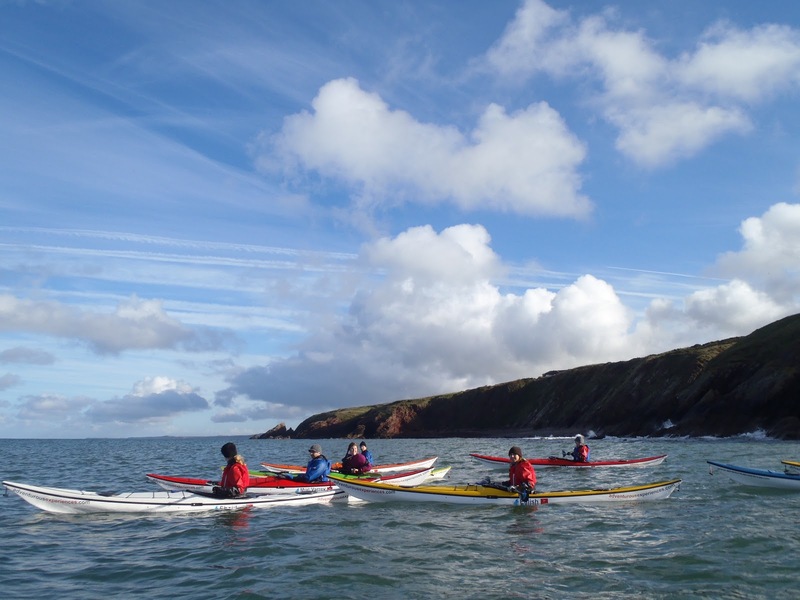 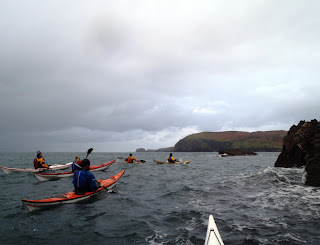 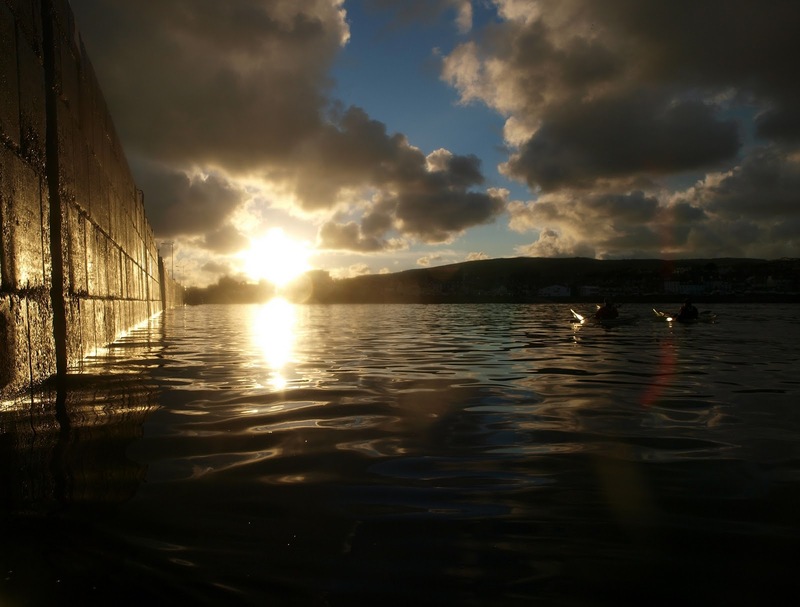 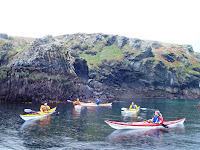 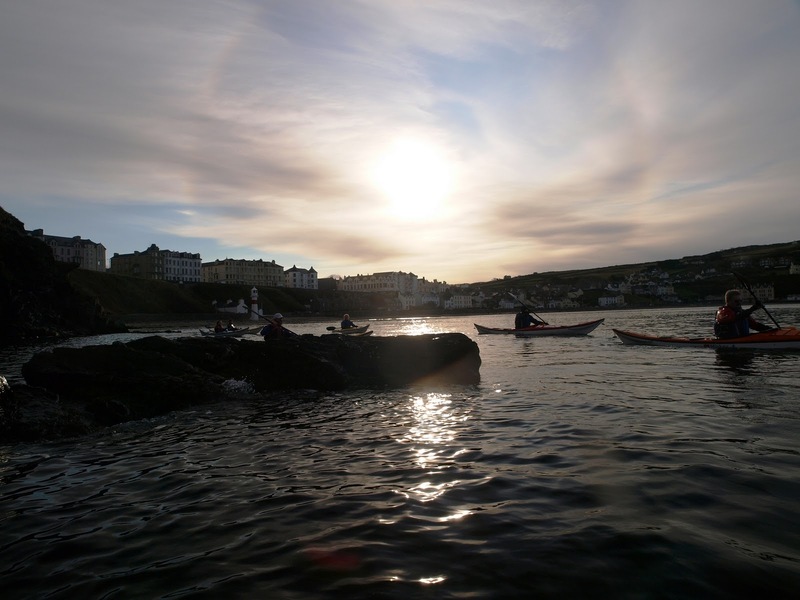 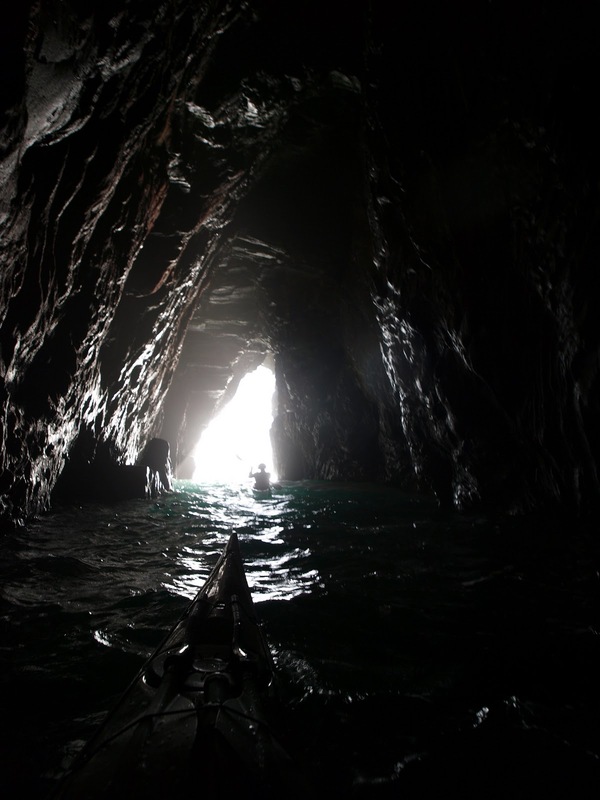 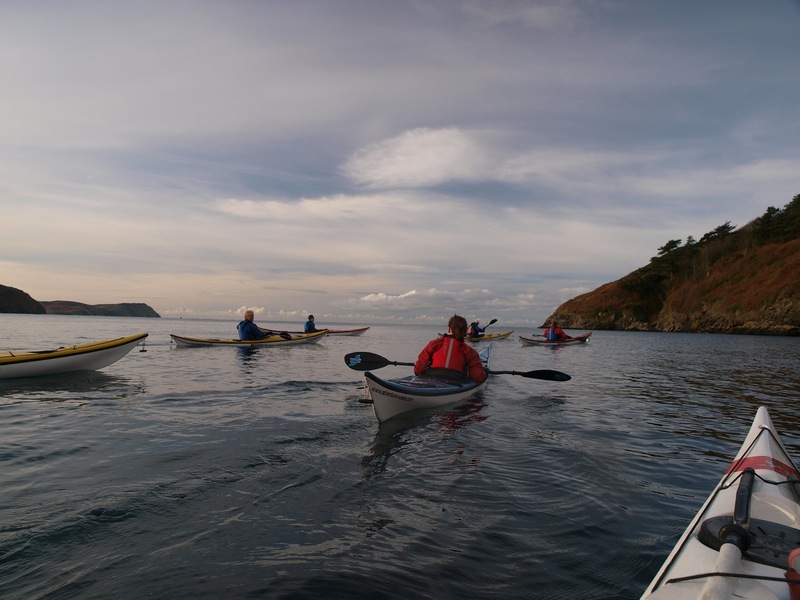 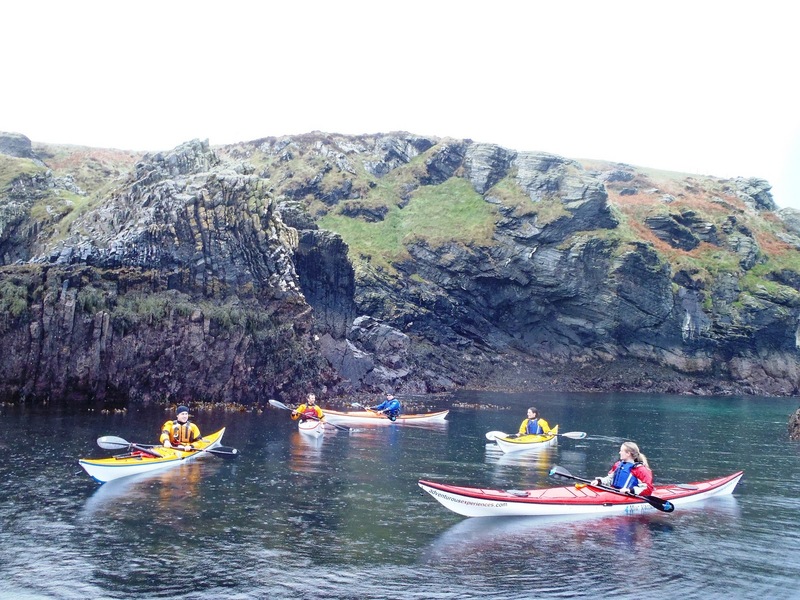 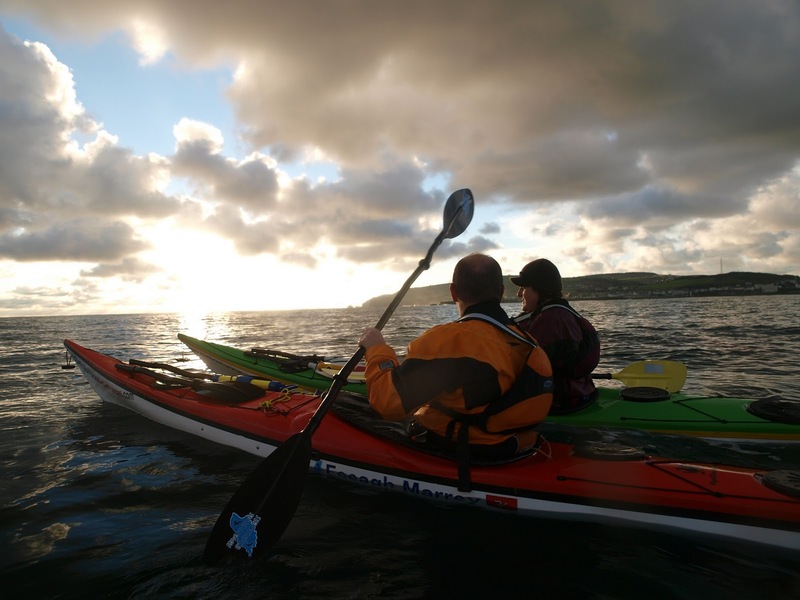 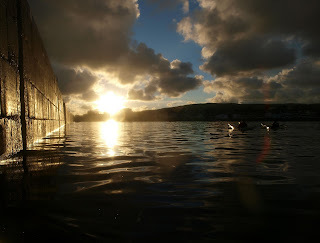 The morning session was split into the 2* training group, and the Discover Sea Kayaking students. 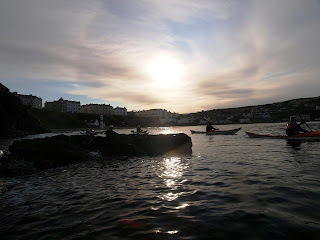 We used Port Erin Bay to maximum effect, and had a very enjoyable morning! Congratulations to Ian Moon for achieving Member of the Month for October! 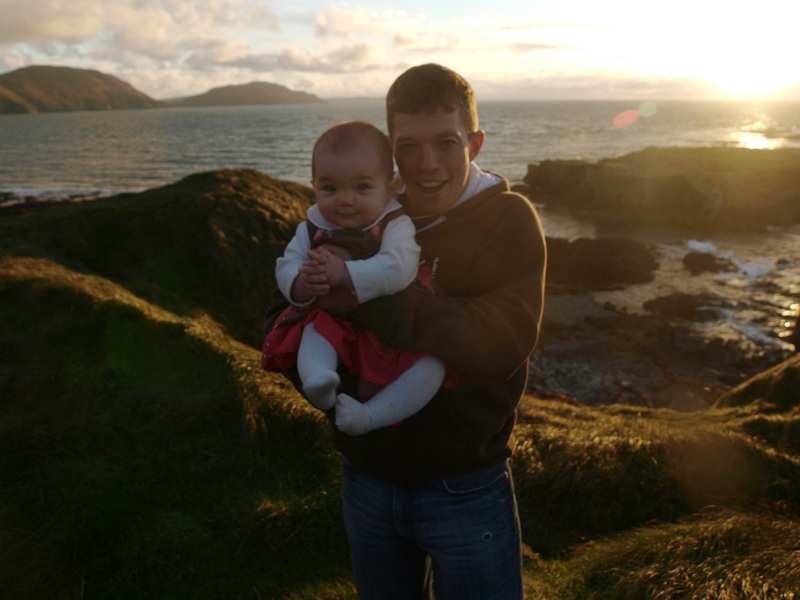 This was the first unanimous vote i've seen for any member receiving the award. 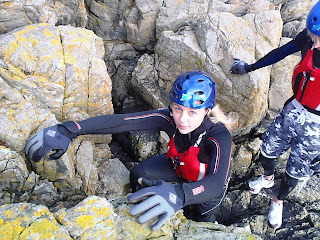 Laura celebrated her big day with an adrenaline fuelled coasteering session around Peel Castle with her family. 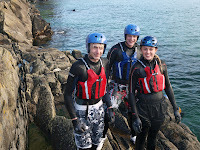 Mark, Kay and Edward joined us for the session, using up their Adventurous Experiences Gift Vouchers they had received as presents. 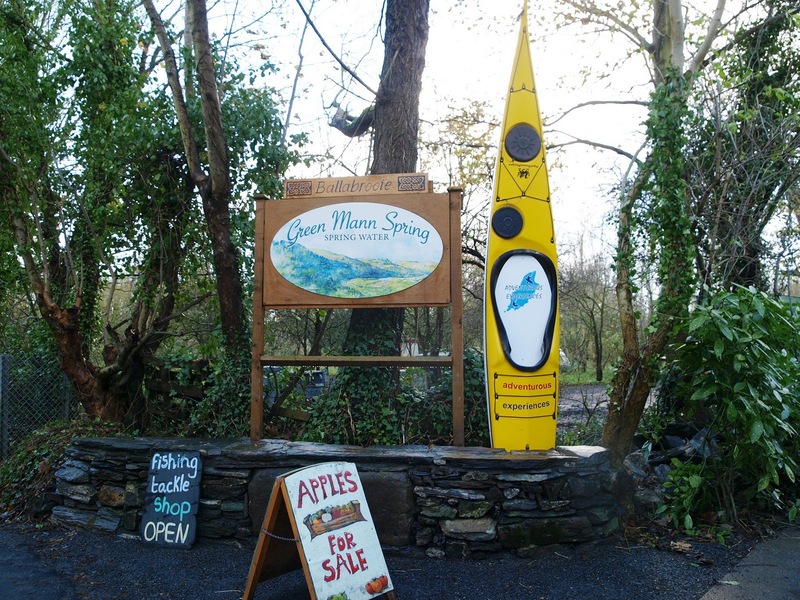 Meanwhile, back at Ballabrooie, things are far from quieting down for the winter..
Green Mann Spring won the Conister Bank Small Medium Enterprise Award at the Isle of Man Newspapers awards for excellence 2010 in associatiion with RBS. 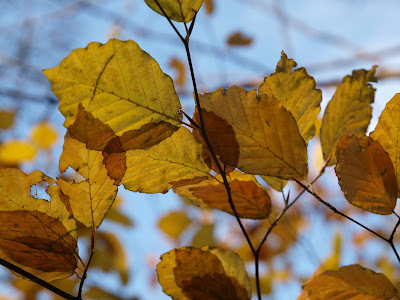 As we move into winter colours and the last of the leaves fall, there's always plenty to do outdoors, and never enough time to do it all! 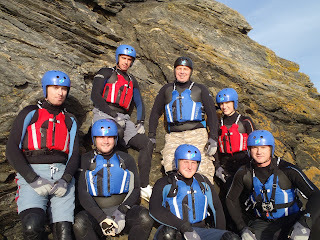 Many thanks to Sean McGrath at Wild River for his effective coaching and fine hospitality. 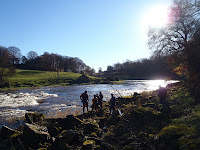 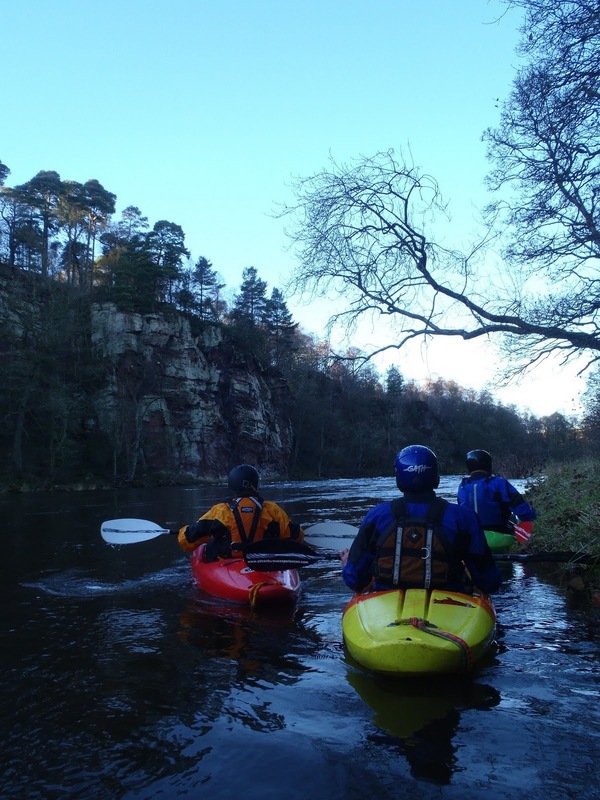 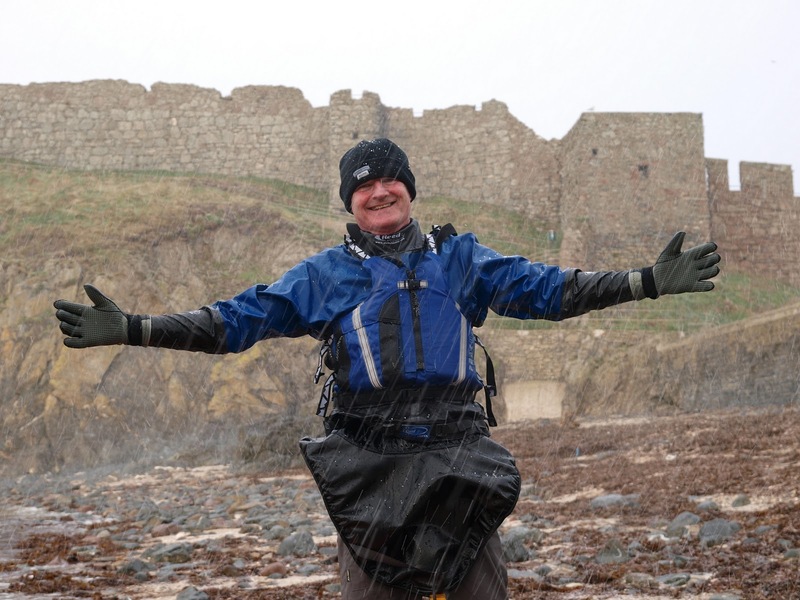 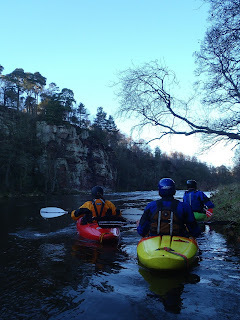 We'll be over with Sean again in March for our next Adventure Club UK rivers trip. 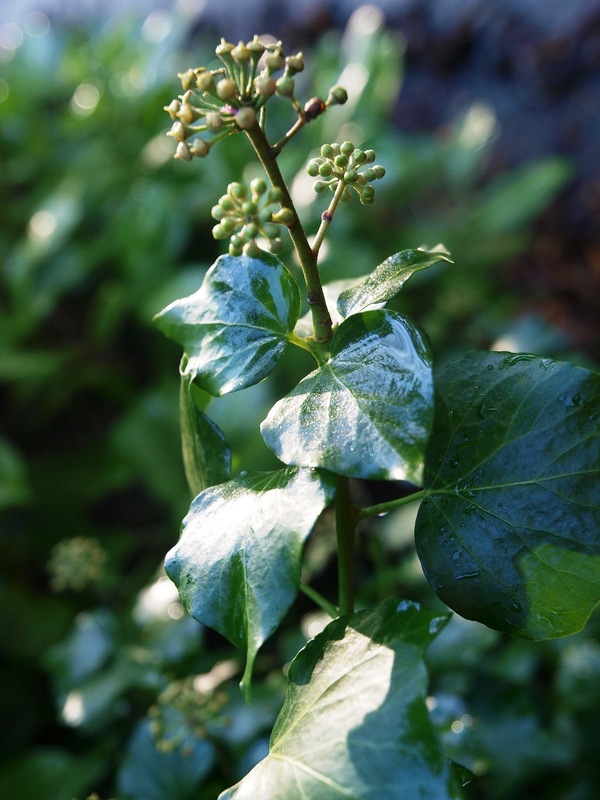 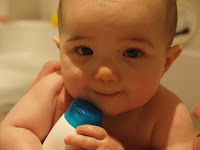 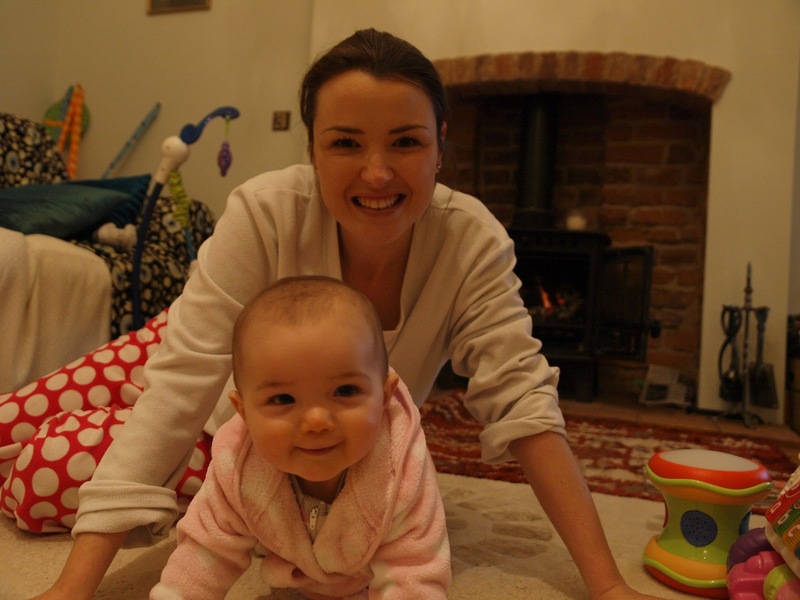 ...full of smiles and boundless energy, a little thing of beauty! 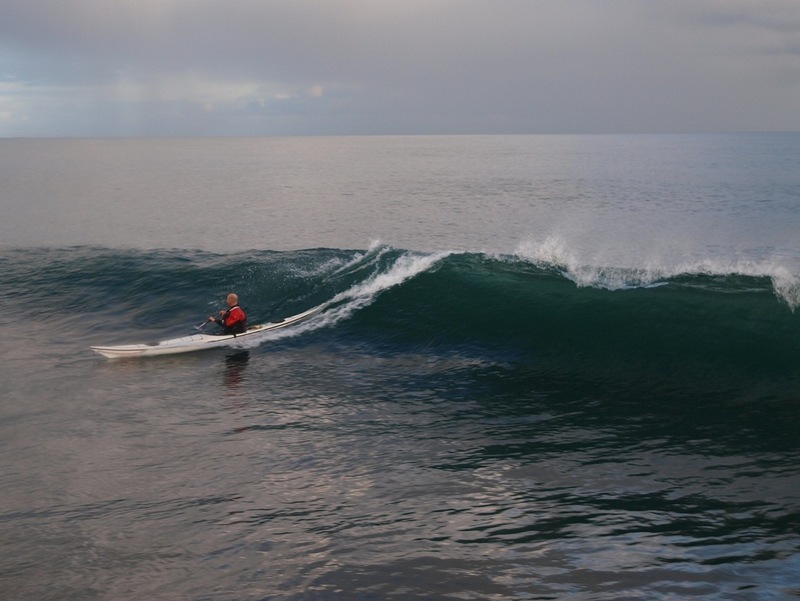 A reasonable swell, with a distinct absence of wind, ideal conditions for a paddle! 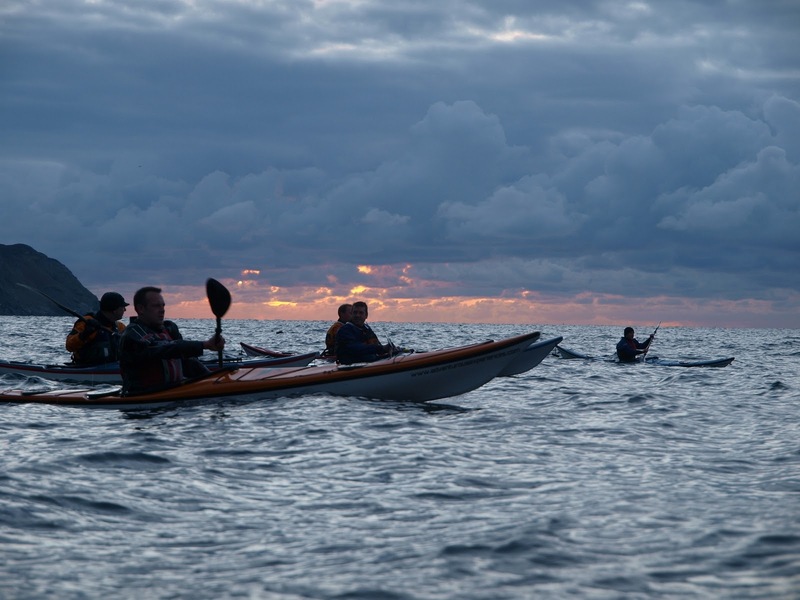 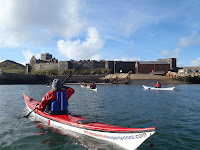 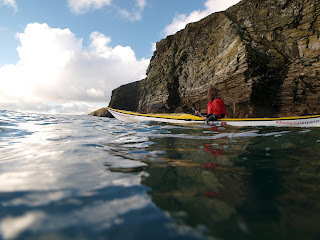 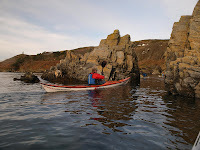 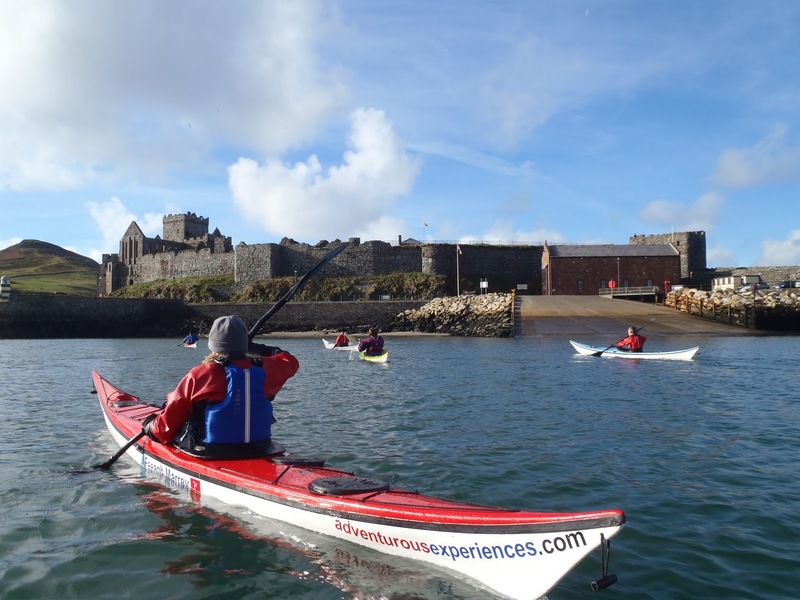 Sunday's morning sea kayak session ran from Port St Mary, with mostly Adventure Club members, getting on the water just after the rain shower and enjoying a delightfully dry experience. 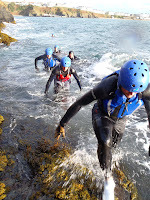 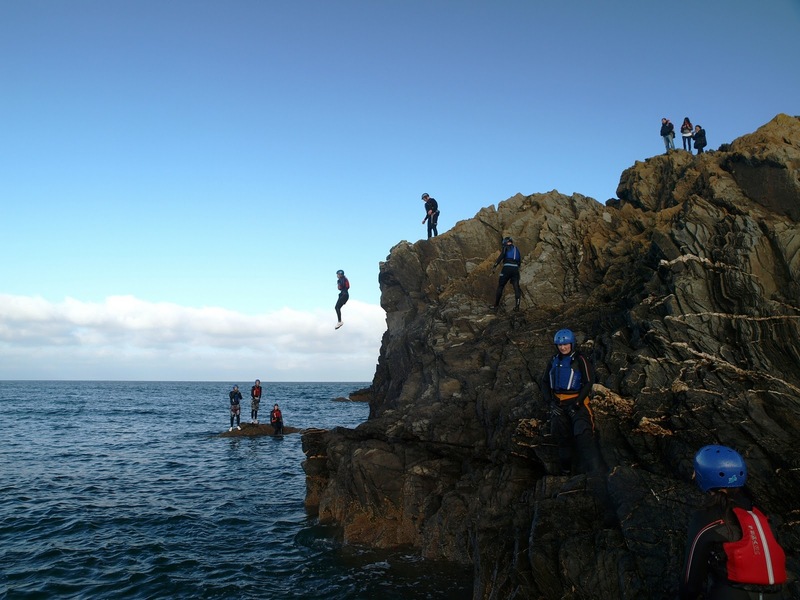 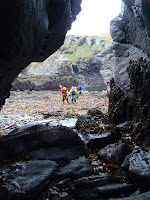 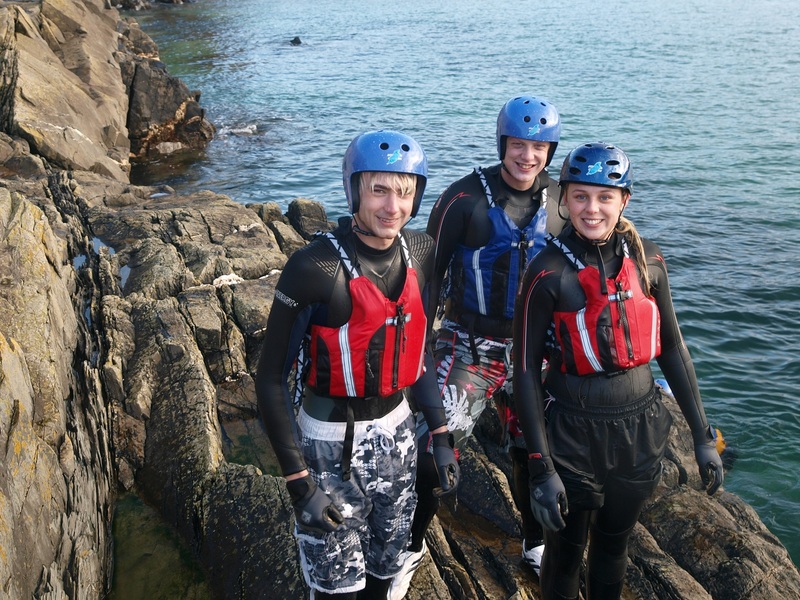 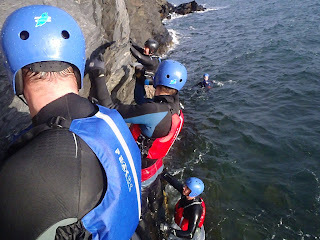 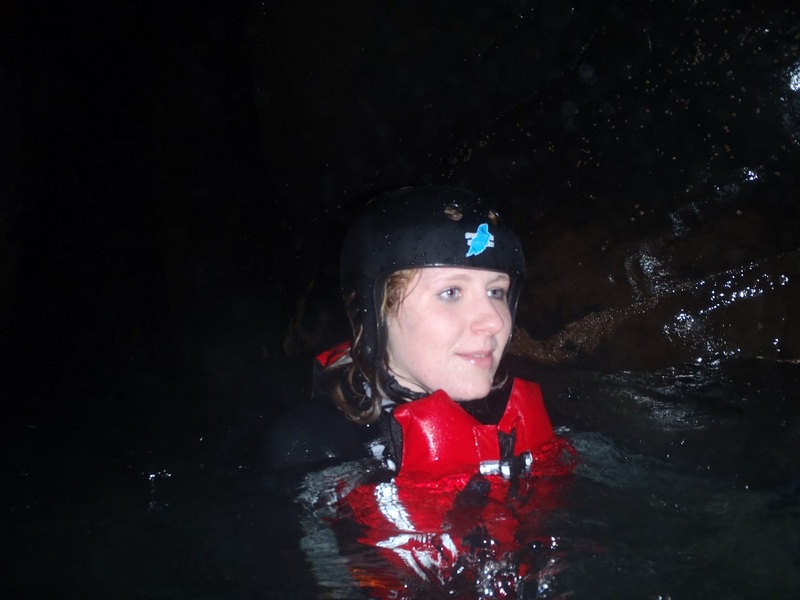 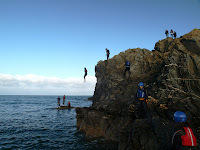 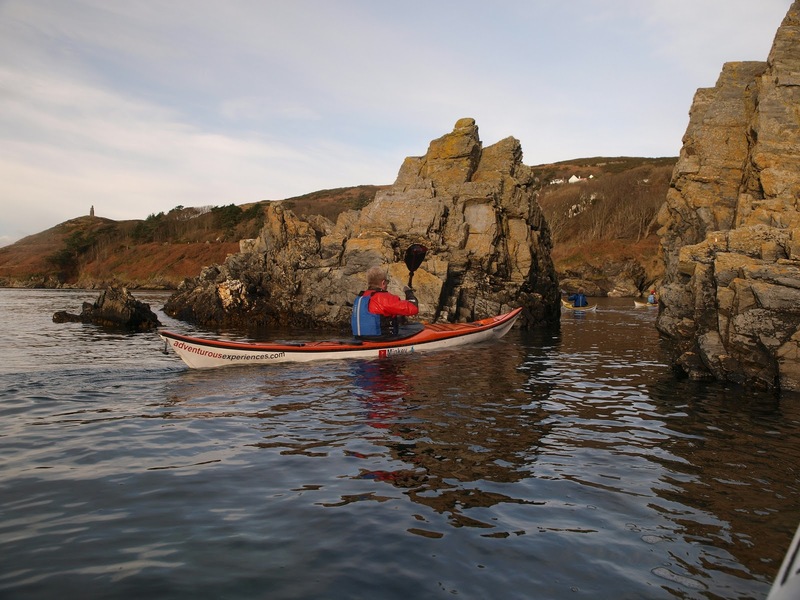 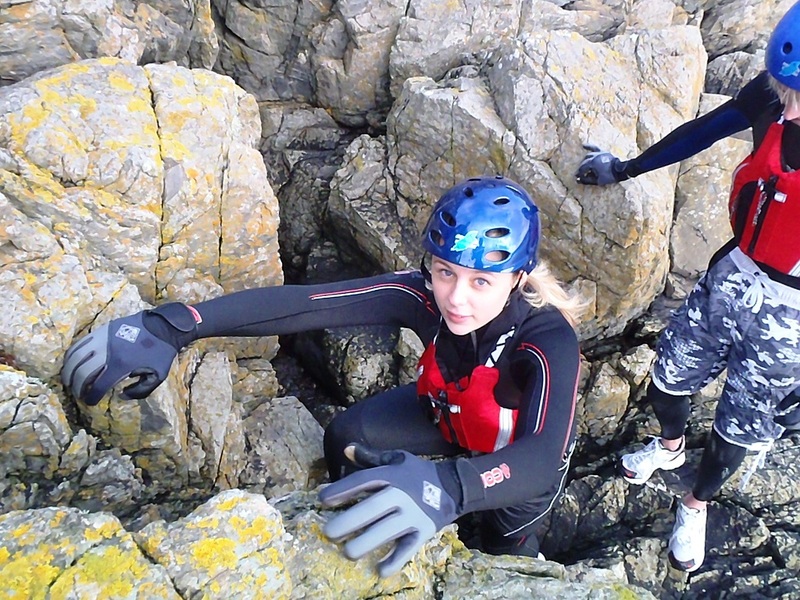 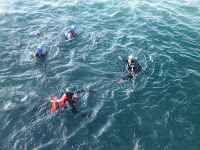 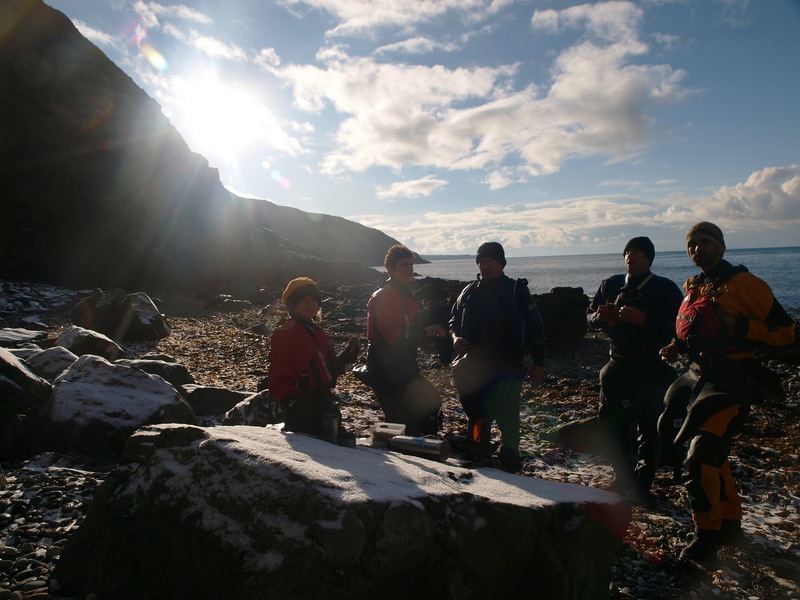 Coasteering (intermediate route) - for those who have experienced other routes with us.